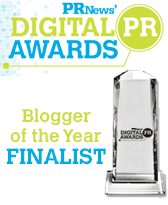 Today’s guest post is by Peppercommer Laura Bedrossian. “If it ain’t broke, why fix it?” is a saying with which many are familiar. But how about: “If it is broke, let’s just keep doing the same thing over and over?” While it sounds ridiculous, I’m convinced it’s the new motto for my home state of Rhode Island and the root cause of its branding problem. Currently, I live in New York, but Rhode Island is very near and dear to my heart, having lived there the majority of my life. The Providence Journal’s Mark Patinkin has written a few humorous books on Rhode Island, discussing everything from the local culture to the unique accent. At the heart of Patinkin’s writing is the message that if you grew up in Rhode Island, it never really leaves you – and he’s right. – Most recently, former Providence mayor, Buddy Cianci, made headlines for announcing that he wanted his old office back. Cianci is also known for his marinara sauce (in fairness, it’s actually delicious), but also for his time in prison. Yes, let’s vote corruption right back in. I want people to love RI as much as I do. To do this we need to change the narrative. And the Tourism Board should take a stand and hire media relations/reputation management professionals to start seeding stories on what makes the state special. They could focus on local business leaders – like my grandparents, whose deli, The Food Chalet, has stood for 42 years and counting, Carolyn Rafaelian, founder of Alex and Ani, who started a nationwide fashion craze from her home that has gotten so big, I’ve seen ads in the cabs here in NYC and Del’s Lemonade, which has been a thriving business and a staple for residents since the 1940s. Step 1 is voting in new people with fresh ideas who will be in the news for doing something to make the state standout in a good way. Step 2 is putting a concerted effort into the state’s branding. Wake up, Rhode Island, you’re great and people should know it—you just need the right communications folks to help. Perfectly written Laura! RI is like having another sibling, I feel I can criticize the crazy political stories but I get very defensive when something negative makes the national news or a non-native RI resident makes a derogatory comment. In under an hour, I can be on any number of beautiful beaches, take in gorgeous Newport, visit our beautiful zoo, or try any of the fantastic restaurants and eateries. The Food Chalet is a perfect example; wonderful, friendly people who make delicious food and make you feel welcome. (anyone who hasn’t tried their chicken salad is missing out!) I agree that RI very much needs new political candidates and a positive boost in order to highlight all of the things that make the state great and not a just punch line. One small thought: RI is criticized for not being friendly to new, small business owners. Perhaps if a political candidate could vow to change that, a new wave would come to the Ocean State. You are right on Laura. Christine, I completely agree! I feel I can definitely make fun of what’s happening politically, but then you get slapped in the face when it makes national news, but also, the clowns that are in office (and in fairness, not all of them are clowns–I’ve always loved Warwick’s mayor, Scott A., and think it’s time for him to work wonders across more of the state). But we definitely need some fresh thinking and faces. I also agree with the small business piece. The state doesn’t make it easy for small business owners to survive and thrive. I know some have come in trying to vow to help that, but they either haven’t followed through, or weren’t voted in. One day . . .
Hi, Laura: Could it be this is an intentional tactic; projecting the appearance of dysfunction in order to detract outsiders from swarming their state? Maybe ineptitude is a small price to pay to keep the Ocean State pristine? 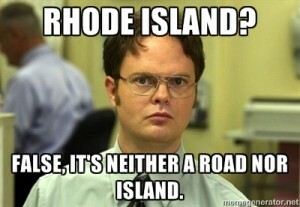 Either way, I’d like to see Rhode Island get the respect it deserves! Kudos to you for hoping their image improves. Thanks for reading, Ray. I’d say your take is the only logical reason, because I’d like to think that Rhode Islanders are smarter (but we both know your reasoning is sadly not the case). Maybe one day they’ll make moves to show others how great the state is–the extra tourism will do wonders for the state overall. The current state of Rhode Island is such a mess it has kept me from moving back home. I completely agree, Steve. I could write a book on the issues. I love Rhode Island so much, but the issues are just too much and the current leadership seem like they could care less about coming up with an actual plan to solve them. I too feel deeply connected to my home state and agree that we need to change the narrative. Rhode Island is more than its political foibles. Beautifully written, Laura. Thanks for speaking up! Thanks for your comments, Sara! I obviously agree. Well put! As a fellow Rhode Islander, I am in complete agreement. So many wonderful things about the Ocean State are overshadowed by foolishness. One bright spot is the Quonset Business Park, near where I grew up. The state has managed to do that right. RI’s overall branding, however, needs fresh blood. That’s a job I would take if I ever moved back! Thanks for reading, Linda, and I’m glad you agree! Quonset Business Park is great. There are many things the state does well, but those things are oftentimes overshadowed by some of the ridiculous items in the news.